Why should I have a new boiler? Many homes have boilers have been installed for years, although they may seem to be working ok and ticking on by, sometimes by having a new boiler installed, you could have access to a great range of benefits that your existing boiler simply can’t offer. With the cold weather set to take hold and with it expected to last well into early spring, it’s important to ensure your home and boiler are prepared. By choosing to have a new boiler installed in your home, you’ll be able to reap the benefits it offers, such as lower energy bills and a more efficient heating and hot water temperatures. We understand that although a new boiler may seem like a large investment, by investing in a new boiler now, could save money in the long run. Many older boilers need much more maintenance and repair work to keep them ticking over and running smoothly. When you have a new and modern boiler installed, it is less likely to need repairing and maintaining. Investing in a new boiler installation can help to save money in the long run. Most new boilers from reputable and quality brands offer long warranties that cover your boiler for a range of purposes including parts or labour or both parts and labours. Helping to keep your new boiler covered for longer, so if it did happen to break down, then you’ll be covered. New boilers are much more efficient than older models, having a new boiler has a great range of benefits. With this improved efficiency, you should expect to see savings on your energy bills, which is always a benefit with energy bills on the rise. Having a boiler that is more efficient means that you’ll have improved hot water and heating temperatures. The technology used in the manufacturer of new boilers is improving year on year. The result of this is that new boilers are able to offer much-improved performance levels to the end user. Almost every new boiler manufactured today is a condensing boiler. This means that it is able to utilise a lot more of the heat energy that the boiler produces compared to non-condensing alternatives. Condensing boilers are therefore considered a lot more efficient than older boiler models. The good news is that moving to a new A-rated boiler can have many benefits. Not only are they likely to be more reliable and a lot easier to identify spare parts in the rare event that anything were to go wrong, but using an A-rated boiler in your home can also save you a lot of money in the long term. If you have an old, inefficient boiler in your home, it could be time for a change. A new boiler may seem like a scary venture, but it really isn’t as daunting as you expect. 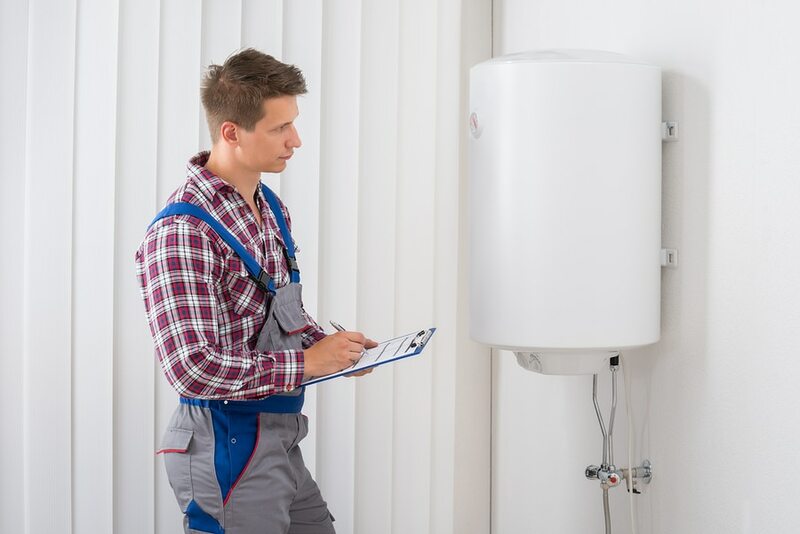 Heat-Tec not only has accreditation’s with reputable and well-known boiler brands like Worcester Bosch and Valliant, but we also have years of experience installing boilers, all of our boiler experts are fully trained and qualified and are gas safe registered. We provide a friendly, efficient and professional service to both our domestic and commercial customers. So when it comes to needing a new boiler, give Heat-Tec a call on 020 8212 7824 for a free no obligation quote. As well as covering West Wickham, we also offer an installation service throughout Croydon, Bromley, Mitcham, Orpington, Caterham, Sevenoaks, Beckenham and the surrounding London, Kent and Surrey areas. With the winter well and truly here, it can be tempting to draw the curtains, turn up the thermostat and reminisce the sunnier and warmer times. Keeping warm inside a house away from the elements may sound easy but you’ll be surprised, most people have no idea how to keep warm. Recent surveys have shown how the majority of Britons believe that they understand their heating controls, with half misusing the energy by turning up their thermostat. People also think that turning up the heating makes it hotter quicker and that the external temperature will make a difference and that hot water needs to be on constantly, which isn’t true! Recent reports have shown that just over half of homeowners have turned up the thermostat when it’s cold outside, but homes shouldn’t need this as the thermostat is there to maintain the internal temperature, whatever the weather is like. Further research has shown that people have admitted to turning their room thermostat up when they want the room to heat up quicker. This doesn’t heat up a room quicker, it just heats the home up to a warmer temperature. It’s common for people to think that it’s more energy efficient to leave the heating turned on at a lower temperature constantly, rather than turning it off and on. This is wrong as it only means that these homes are heated when no-one is there to benefit and then the home is too cold. If your hot water tank is properly insulated, water which has been heated for half an hour in the morning should stay warm until midday. It’s much better to set your water to come on for half an hour before you get up to shower. Research has shown that few people with electric storage heaters fully understand how they work, meaning households with electric heating could be paying much higher prices by not taking advantage of cheaper night rate electricity. Studies have shown that drawing your curtains can reduce heat loss from 15% to 17% whilst drawing the blinds reduces it by 13% to 14%. A boiler of 15 years old or more may be wasting from 30 – 40 pence of every £1 spent on heating your home and water. Updating your heating system to an A-rated condensing boiler or oil-fired model could make your system up to 90% more efficient. It sounds like a hassle, but it’s essential if your home’s radiators aren’t as powerful as you’d like, the first thing to do is to bleed them. Radiators containing trapped air are hot at the bottom but cold further up, so they’re not giving off as much heat as they should. Bleeding them is easy, simply put a radiator key or a small screwdriver into the bleed valve on the radiator and open the valve to let out the air. Ever wondered why people always seem to put sofas in front radiators, it’s a bit daft isn’t it? You don’t want a radiator pumping heat into the back of a sofa, so it’s best to make sure situations like this are avoided. Should you require any further advice regarding heating in your home, feel free to contact our professional heating engineers. All of our heating specialists are fully qualified and gas safe registered so you know you’re in safe hands no matter what your underfloor heating needs are. Different boiler types – which is best for me? For those of you that are unsure about the different types of boilers, we have created this short guide to help you understand the differences. Whether you are looking to have a new boiler installed or you simply aren’t sure what type of boiler you have at home, we hope to help you find the answer(s) you are looking for. Find out more about the main boiler types, how they work, their advantages and what kind of homes they are best suited to. A combi boiler (or combination boiler) is a central heating boiler and high-efficiency water heater rolled into one. Because combi boilers directly heat water from the mains when a tap is turned on, there is no need for a storage cylinder or tank in your loft or cupboard upstairs. Combi boilers are considered to be one of the most cost-effective and energy-efficient systems out there, heating water instantly, rather than heating and storing in a tank/cylinder. Hot water is also delivered at mains pressure, meaning you can enjoy a hot, powerful shower without the need for a separate shower pump. Less pipework usually means that installation is cheaper, but can depend on complications with the home. For system boilers to work, they require a cylinder to store the hot water, although most of the other major heating and hot water parts are built into the boiler, meaning it is often quicker and easier to install. With a system boiler, there is no need to have a tank installed in the loft, meaning you can consider this option even when you have little/no loft space available. System boilers are compatible with solar water heating systems, meaning added environmental benefits and lower energy bills. The built-in system components make the installation process relatively straight forward. Regular boilers are often referred to as traditional or conventional boilers, or “heat-only” boilers, depending on who you speak to. They are ideally suited for homes which already have a hot water system that is linked to a hot water cylinder. Regular boilers require a cold water storage tank in the loft so that they can feed the cylinder and the tank that maintains the water level of the central heating system. If the property has an old radiator system, then a regular boiler might be the way forward. We say this because older radiator systems often struggle to cope with the higher pressures that are delivered by a system or combi style boiler. Ideally suited to homes which need hot water distributed to different rooms at once. For homes with two or more bathrooms, regular boilers work well. Where water pressure is low, regular boilers work well also. They are compatible with solar water heating systems for a lower carbon footprint and lower energy costs. Heat-Tec can help you to figure out what system you currently have in place (if you are unsure) and the best boiler to suit your demands in the future. Our boiler installation specialists can help you to determine which boiler you need, talking you through your options to help you make an informed decision. After calculating the best system based on your property and your hot water/heating requirements, we will be able to provide you with a FREE custom quote. give Heat-Tec a call on 020 8212 7824 for a free no obligation quote. If you already have a boiler that needs installing, we can provide you with a custom quote for this too. Heat-Tec offers installations throughout Croydon, Bromley, Mitcham, Orpington, Caterham, Sevenoaks, Beckenham and the surrounding London, Kent and Surrey areas. Looking for an efficient heating solution that’s better than conventional radiators? Underfloor heating could be your answer. Here’s an experts guide to everything you need to know about underfloor heating. 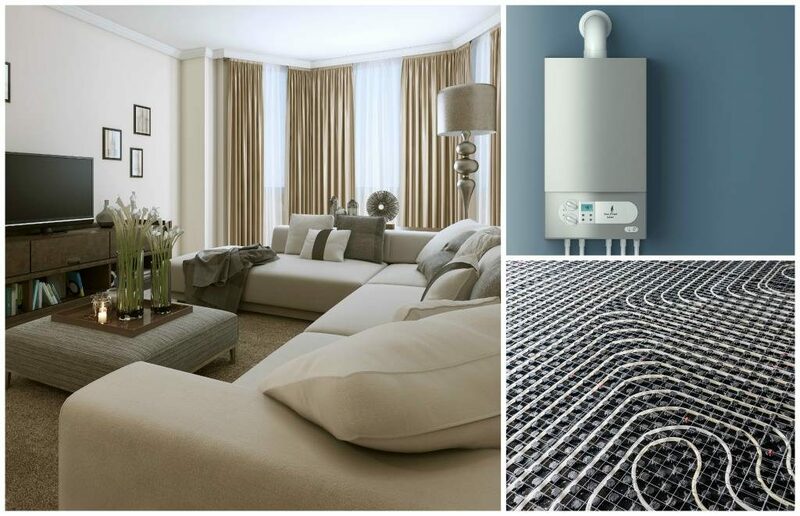 Underfloor heating is now more accessible to more properties and budgets than ever before, so what do you need to know before considering this smart alternative to the old-fashioned radiator? West Wickham based Heat-Tec are experts in installing underfloor heating (UFH for short), company founder Dave Lawson shares his knowledge on underfloor heating here. 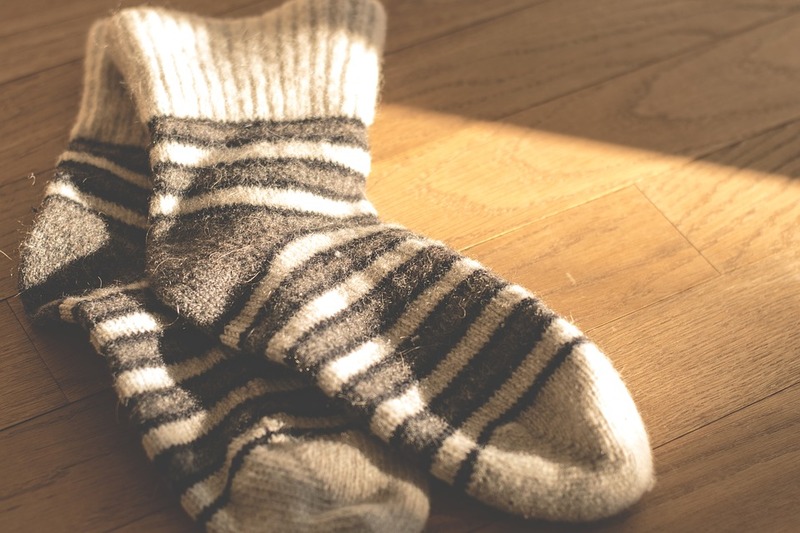 The best benefit of installing underfloor heating is the way it heats your room. A true radiant heat system like UFH heats your room evenly from the floor up to the ceiling, where conventional radiators heat areas of your room from a set point wasting heat at a high level. You will find an even temperature distribution across the entire room. To maintain the same level of comfort you had before, be prepared to lower the temperature of your thermostat by a few degrees too. You may find your old radiators were wasting heat to reach the desired temperature on your thermostat. If you go for a water-based underfloor heating system that uses your boiler there are money-saving benefits to reap. When installed the underfloor heating system requires the water to be heated to a maximum of 50°c. Compare this to the 70°c to 90°c needed to heat most radiators and you’ll immediately see less energy use and a decent saving on your heating bills. With underfloor heating, you’ll find more interior design options are suddenly available to you, with no need for radiators on the walls your furniture can be placed wherever you like, and more style choices like sleek minimalist looks can easily be adopted. Sometimes we find our UK houses are so heavily insulated we struggle to cool them in the summer heat, it’s good to know then in this changing climate wet underfloor heating systems can actually pump cool water through the pipes, providing a cooling effect to the floor and the room above. At Heat-Tec we’ve been installing boiler based underfloor heating systems for many years now and have seen the products improving in value and design year on year. If you’re based in West Wickham and looking at investing in an underfloor heating system then Heat-Tec’s heating specialists have you covered for all your installation, repair and servicing needs. As well as underfloor heating installations in West Wickham, we also offer an installation service throughout Croydon, Bromley, Mitcham, Orpington, Caterham, Sevenoaks, Beckenham and the surrounding areas. Get in touch with us to see how we can help. Why not make the most of your unused space by getting a toilet installed downstairs? It can improve the quality of your home life as well as add value to your property, without costing too much. Find out more about cloakroom suites here and don’t hesitate to reap the benefits! There are two main styles of cloakroom suites, first one being a traditional toilet design and the other being a contemporary style. Whatever you desire, you can be assured that there are a wide variety of bathroom units for you to choose from. Other factors that you may wish to consider are whether you want the tank hidden and if you need heating running into the room. This could be done with an electrical heater or towel rail, or you could simply add a radiator into your current central heating set up. Your new toilet will need to comply with building regulations, although you should not need planning permission for it unless you home is a listed building. The main concerns under building regulations are correct drainage and proper installation of any new electrical fittings and circuits. You will also need an electric ventilation fan if you do not have a window in your new WC. But your tradesman should be happy to advise you on which model you require, as well as dealing with any other building regulations issues. The easiest way to get a precise cost for installing a new toilet is to post a job for free and receive up to 3 quotes from bathroom specialists in your area. Toilet – there are specific cloakroom toilets available, which are designed to make the most out of our space. From wall-hung pans to corner toilets, there are many different toilets that are used to fit toilets into smaller spaces. Sink – There are also many different cloakroom sinks that are space saving and so can fit in small areas. There are also new toilet designs that have a sink implemented within the design of the toilet. Radiator – there are also smaller wall radiators that take up little space within a cloakroom toilets. Obviously, the kind of job you have done and what you spend will influence how much a new toilet can add to the value of your home. The location and desirability of homes in your area is also a factor. But there is little doubt that the addition of that extra loo will make your home a more attractive prospect when it comes to selling. Making sure that any downstairs toilet is wheelchair accessible or disability-friendly will also increase the contribution it makes to its selling power. As the cost of energy rises, more and more homeowners are considering carrying out home improvement projects, this will make their house more energy efficient as well as environmentally friendly. There’s a number of options available should you be looking to lower your gas and electricity bills, ranging from simple steps like fitting insulation and draught excluding any gaps around windows or doors, to big changes like installing a new heating system. Bigger changes that are much more costly, may seem like a big financial project but will be worth so much more in the long term, especially if the current boiler and radiators are old and inefficient. When it comes to targets and regulations, they’ve been introduced by the government in a bid to encourage energy efficiency, this includes bringing down efficient carbon emissions by 80% by 2050 in order to create the opportunity for new advances in technologies. Efficient heating has played a key role in helping the public sector developers comply with the official standards and will continue to do so in the future. When it comes to fuel poverty, some households are spending more than 10% of their income on gas and electricity bills, spurring on housing developers to provide solutions that are both eco-conscious and cost reducing. New technology has shown new heating systems being developed which require less electricity to run, these systems are making revolutionary changes when it comes to heating and energy efficiency. 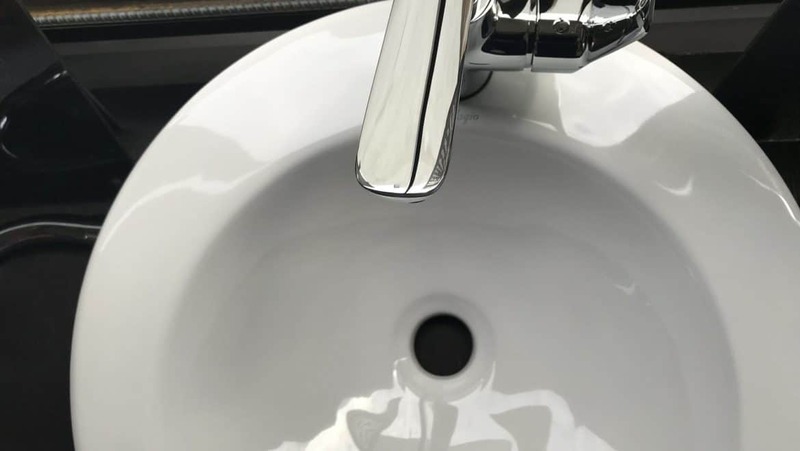 Bathroom fixtures and fittings can be very water-inefficient, especially if they were installed many years ago, fitting water saving products can be a wise investment. Dual flush toilets can also result in significant water saving, the majority of water wastage comes from unnecessary flushing. As well as lowering water bills for the household, an efficient bathroom will also make the property much more attractive when the time comes to selling and moving on. Buyers are now starting to become increasingly eco-conscious and looking for properties that have energy efficient fittings. So investing in a water-saving bathroom could pay off in both the short and long term. Although its summer the efficiency of your new boiler may not seem as important, or be your current priority, but have you made future plans when it comes to winter, when your boiler will be getting used more. There are lots of benefits when it comes to planning for the future of a new boiler installation or boiler maintenance. We’ve listed our top 5 reasons as to why you should become proactive when it comes to upgrading your boiler. You may think that your old boiler is ‘ticking along’ just fine and maybe has a good few years left in it yet. This could potentially be the case, when was the last time you sat and weighed up the costs of repeated repairs and the lower efficiency of an older model compared with a modern system, this is simply a false economy and the money in which you are spending could be more beneficial in other areas of the home. As highlighted above, waiting until your boiler breaks or needs repairs before upgrading can be a costly approach which delays the inevitable and isn’t cost effective in the long run. If your boiler breaks down altogether this is only going to cause delay for you and your family, meaning you could be left without hot water or heating whilst the new boiler is installed. It is best to consider the long term investment over the short term pay out. Many old boilers can be inconveniently located within your home, the can be large and awkward in size. Replacing your boiler can be an opportunity to reorganise the layout of the boiler cupboard which could even move the installation away from the floor, creating more space. Whether you are a home owner or a landlord you will need to ensure the safety of your tenants. It is a legal responsibility to make sure your property complies with relevant safety legislation. If your gas boiler is old or poorly maintained these gas boilers can release poisonous carbon monoxide gas, often known as the silent killer, as it is tasteless and odourless. According to statistics from the NHS, as many as 50 people a year are killed by carbon monoxide poisoning due to faulty heating appliances. Old boilers consume much larger amounts of fuel than modern systems and waste heat, which is costly for not only you and your tenants but costly for the environment too. Modern boilers are much more efficient and environmentally friendly. Remember that the installation of any new boiler must always be carried out by a Gas Safe registered engineer! Contact Heat Tec today, and you’ll quickly discover the reasons for our incredible reputation when it comes to our boiler replacement and installations. Should there be some odd noises coming from your boiler, don’t worry, these are simply problems that can be fixed quickly and won’t require an engineer call out. If it’s more serious then you may require more expertise. Boilers have an annoying habit of breaking down, just when you need them something happen and they break down. Then there’s always the night mare of getting an engineer round before you freeze to death, or worse a family row may be sparked. Here’s what you should do to ensure that you recognise the signs that your boiler is about to breakdown and cost you a packet. Hearing this when your boiler fires may mean that your radiators will not be heated properly, the noises may be caused by air in the system, a blockage or sediment at the bottom of the boiler may need to be flushed out by a professional. Frozen condensate pipes may also be to blame, if a frozen pipe is the cause then this may need to be thawed by using hot water bottles and heat wraps, but only if the pipe is accessible at ground level. What does the ignition lockout mean? This mostly happens to older boilers but can also happen to new ones as well, boiler manufacturers will install the lockout feature which may cause a shutdown as certain features are not working which affects the safety. Not all shutdown features stem from something seriously wrong, this could just be a simple glitch like a power cut or just low pressure. Normally there’s a reset button on the front of your boiler, your instruction manual will tell you to press this to rest the boiler and stop the lockout. Why does the heating stop when I turn the hot water on? If the diverter valve in your boiler is faulty then this may cause the heating to switch off whenever you turn the hot water on. The issue could cause frustration when the radiator won’t warm up, when actually it could be the heating that’s flipped off by someone taking a hot shower. Diverter valves are used in combination boilers, this will divert the flow of plasma between the domestic hot water heat exchanger and radiator. Resolving this issue may require a new part and an installation job, which could be provided by a plumber unless you have the expert knowledge. Take a look at our handy advice guide to help answer all of your boiler questions. People tend to have different heating requirements, based on their requirements and preferences, so if you require a new boiler in your home, take a look at Heat-Tec’s guide on the different types available to you. 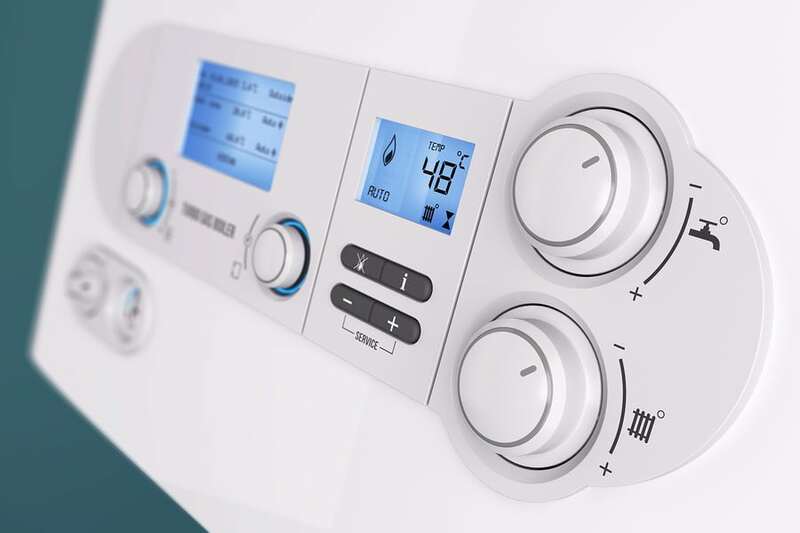 Combination boilers, known as combi boilers, combine the dual functionality of heating your property and producing hot water from one boiler system. Combi boilers are popular in homes across the UK, this is for a number of reasons, over half of domestic boilers which are installed in Britain are combi boilers. Combi boilers work as part of a closed hot water system, they heat water up as it flows past a heating component in the boiler. The water will then be distributed to your showers and taps through the mains water supply and pressure. These boilers will provide hot water on demand and the performance levels are very efficient unless a situation where multiple outputs are used at the same time. One of the main things to look out for when buying a new combi boiler includes the central heating output, this dictates the amount of energy that the boiler generates to keep hot. Hot water flow rates depend on the level of power that the water can distribute in the home. Heating Engineers can provide advice and advise you on the necessary boiler specification you should invest in. Unlike regular and system boilers, with combi boilers, no additional equipment is required, so there’s no need to worry about extra space being taken up. There’s also no need for a hot water cylinder or cold water cistern, the process of installing the boiler will also be a lot quicker, which will also reduce your costs. If you choose to have a combi boiler installed, then you’ll need a flue, this is to take the waste gases outside of your home. You may want to consider a set of heating controls to get your heating working how you wish. Regular boilers are known as conventional or heat only boilers, they’re known as being traditional, especially when it comes to older peoples’ properties, you’ll often find these types of boilers in their homes. They’re known for taking up space, this is due to the use of the hot water cylinder or cold water cistern. Regular boilers generate heat from the central heating system directly, the hot water that’s produced from this will be stored in a hot water cylinder until it’s required. Stored supply of hot water is drawn through when it’s needed in the water outlets, such as your kitchen or bathrooms. Regular boilers include a boiler, heating controls, a hot water cylinder and an expansion cistern. 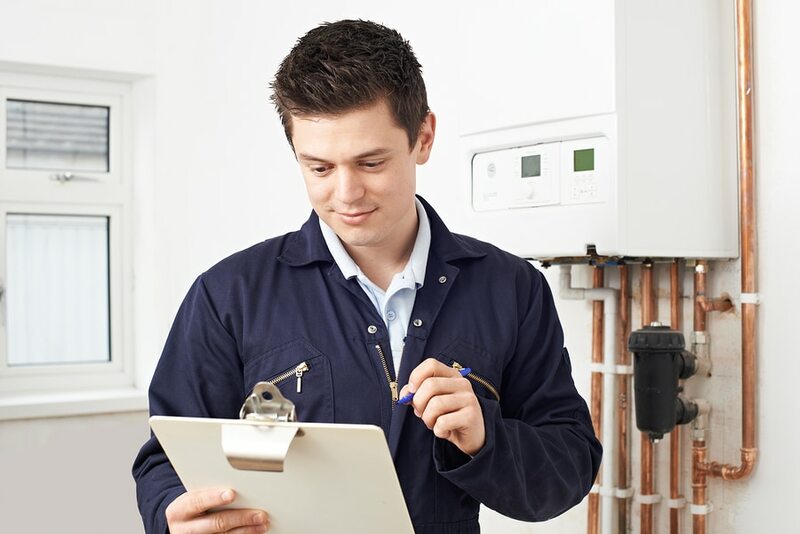 Heating Engineers are able to recommend the exact items you’ll need if you are replacing and upgrading your boiler system. System boilers can be considered as similar to regular boilers, they provide the heat for your central heating system as well as producing hot water that’s stored in a hot water cylinder until it’s required. System boilers were designed to make boiler installations a quicker and more streamlined process. This is down to the fact that the components require efficient heating and hot water which is built into the boiler itself. A feed and expansion cistern isn’t required with system boilers as hot water will be pumped directly from the system boiler to the radiators and hot water cylinder. It supports the process to make it more efficient and financially beneficial. System boilers can work as part of open-vented and un-vented hot water setups, a Heating Engineer will be able to explain this and address any questions you may have. Boiler servicing is something that is often forgotten about or ignored by those who think that problems won’t occur (or at least hoping they won’t). The issue with that is, if you don’t have your boiler serviced on an annual basis, you could be leaving yourself open to more problems in the future. Whatever your reasons for not having your boiler serviced recently, we’re here to tell you why you should have it serviced on an annual basis. Let’s begin! You might be under the impression that your boiler doesn’t get used much through the spring and summer months, but you couldn’t be more wrong. Every day, hot water in your home will be used for washing up, baths, showers and general cleaning duties, along with a whole bunch of other stuff. Although your heating might not be turned on much anymore, it’s important that you look after your boiler all year round. Identifying any small problems before they turn into larger (costlier) issues is wise. Not only could it save you money in the long run, it will also help to keep your boiler running safely and smoothly. The longer small problems are ignored, the worse they will. We’d advise that you get your boiler serviced every year to catch any problems before they escalate! A boiler service doesn’t cost a large amount of money, despite what people may think. A replacement boiler, on the other hand, can be very expensive. Having your boiler serviced certainly costs far less than having your boiler completely replaced. Referring to point one; it’s important that you identify small problems before they turn into much larger and more costly ones. Worst case scenario, your boiler isn’t fit for use anymore and you need a new one. 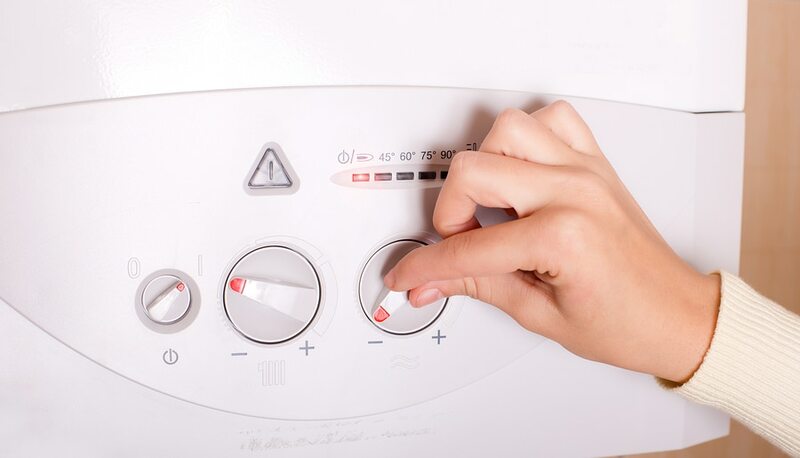 Finding money for a new boiler when you need a replacement one might be difficult, so the smart move to make is to get your boiler serviced annually and save yourself the heartache of having to fork out for a new boiler when it could have been avoided. Having your boiler serviced could save you a lot of money in the long run. If your boiler isn’t working properly for whatever reason, it could mean that you are spending far more on your energy bills each month, without realising. Depending on what make or model your boiler is and how long you have had it, will ultimately depend on how efficient it can really be. Having your boiler checked to improve efficiency will not only mean you can save money, but will also mean that your boiler doesn’t have to work as hard and will use considerably less energy, thus reducing your carbon footprint! Calling all landlords – it is a legal requirement for you to service the boilers in properties you own, as well as all other gas appliances. As a property owner, it is your responsibility to make sure these annual checks are done each year for the safety of your tenants. Gas stoves, for example, are another of the gas appliances that should be checked on an annual basis, along with the boiler. Gas safety checks should be carried out by a Gas Safe Registered engineer, as they are legally qualified to do so. Make it part of your yearly routine to have the gas appliances serviced in properties you own, or you could fall victim to a hefty fine if you neglect your duties as a landlord. We have touched on safety a couple of times throughout this article, but not in any great depth. For health and safety reasons, having your boiler serviced annually could be a life saver. Did you know? 4000 people are admitted to A&E every year with carbon monoxide poisoning, according to the Department of Health. The symptoms that usually present themselves (headaches, nausea, breathlessness, dizziness, collapsing and lack of consciousness) are often assumed to be other common illnesses or infections. For that reason, it’s vital that you get you boiler serviced so that an engineer can check if it’s running safely and smoothly. 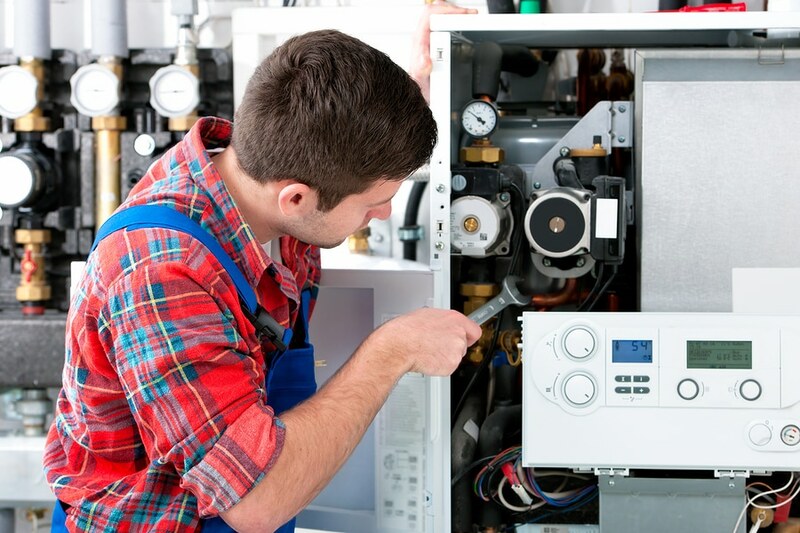 Your boiler warranty will usually only apply if you continue to have it serviced each year. If your boiler isn’t serviced every 12 months, your warranty may be void. If it does then break down, you won’t be covered under warranty and won’t be able to claim for any repair work that may be required. Check the terms and conditions of your boiler warranty. If it requires you to have your boiler serviced annually, this is just another of the reasons why you should mark it on your calendar every 12 months. Has your boiler been serviced this year? If your boiler hasn’t been serviced in the last 12 months, you should consider booking it in. All of our heating specialists are fully qualified and gas safe registered so you know you’re in safe hands no matter what your underfloor heating needs are. Get in touch with Heat Tec today, use the contact details below for any questions you have about the services we offer.